Six years since its founding, Cadenza passes a significant milestone with catalog number 50. And who better to preside over the ceremony than Reboot, fresh from his album Shunyata and showing no signs of slowing down. Resident Advisor recently named Reboot “one of the most celebrated live acts in all electronic music,” and even if you’ve never seen him, Rambon shows plenty of evidence why. The track (which also appears on Shunyata) served as the triumphant closing passage of his BBC Essential Mix back in December, and now, finally, it’s here in its full glory. What’s immediately striking about the track is that it doesn’t sound like a studio concoction. It has all the spontaneity and dynamics of a storming live performance. It’s crafted with a DJ in mind, with one of Reboot’s perfect grooves assembling itself almost magically, with every percussive line snapping into place like magnets on metal. But for all the naturalism of the rhythm, there’s a powerful sense of strangeness, a kind of ambient undertow, as sounds from the real world (the clatter of dishes, a pitched-down murmur, distant strains of radio) seep in and color the background. The track picks up steam with a succession of tightly looped vocals and subtle percussive buildups; it feels less like a composition than a DJ mix, really, the kind where the parts combine to create something far greater than their sum. And out of that emerges a melody— not your typical four-bar riff, but a long, unspooling ribbon, a meandering river, a hypnotic lullaby. It is, in a word, spell-binding. For the B-side, Luciano remixes Uruana, the album’s undulating opening cut. Extending the six-minute sketch to 10 minutes and reinforcing its structure, Luciano’s mix feels almost like an edit. Of the original song’s burbling synthesizers and fluid, rolling drum patterns, he has actually changed very little. But where Reboot’s track is slow to build, as though emerging from a heavy mist, Luciano’s mix gets right down to business. 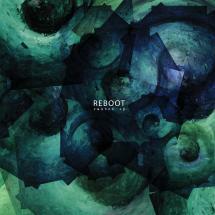 Written and produced by Reboot for Cadenza Records. Remix and additional production by Lucien Nicolet.